It's your big day and you want to create some loving memories to last a lifetime. 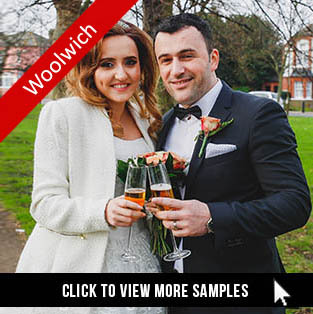 As a professional photographer living in the Woolwich area I have cover many civil weddings at the Woolwich Registry Office. Staying out of your way, I quietly take natural photos before, during and after the ceremony. Capturing the best angles possible, of both you and your better half, the guests and the environment in its natural ambience. Prices start from £150 for the first hour, followed by £80 an hour after that, with a choice of 30 photos per hour - which you would get to choose yourself, from a private online gallery.. 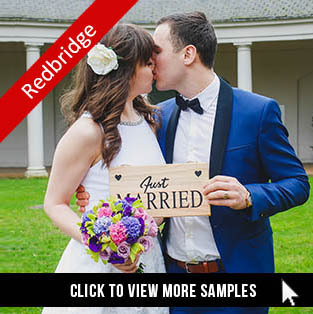 Though I aim to produce photos are natural as possible, every photo that I deliver would have been worked on by myself with industry leading software just to make the photo pop with the right balance of colours and sharpness. While keeping the essence of the photo still intact I work my way during the photo shoot to capture the couple in each other's presence - to highlight the two people having a wonderful time in London. 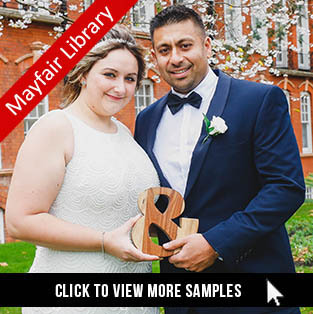 Here is a small sample of photographs from civil weddings at the Woolwich Registry Office. If you have any questions or would like to know more about my services, please feel free to drop me a quick email - I respond to emails very quickly.